- the first Indian Motorcycle Pub in the world!! 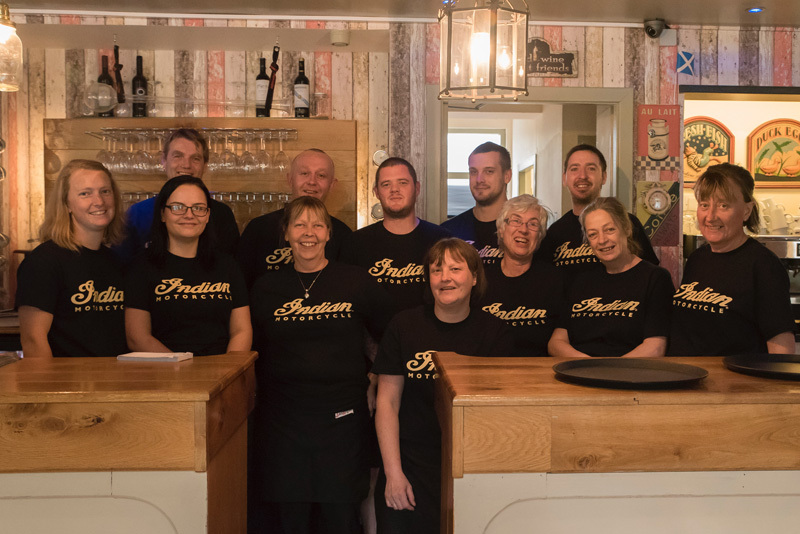 [AVIEMORE, SCOTLAND] – Indian Motorcycle UK has teamed up with Scottish Indian dealership Alba Customs and respected highlands bar and grill MacDui’s in Aviemore to create the UK’s first Indian Motorcycle-themed venue. Aviemore is a well-known and popular motorcycling destination with beautiful scenery, is a great base for motorcycle touring and also serves as the gateway to the North Cost 500, Scotland’s iconic touring route. 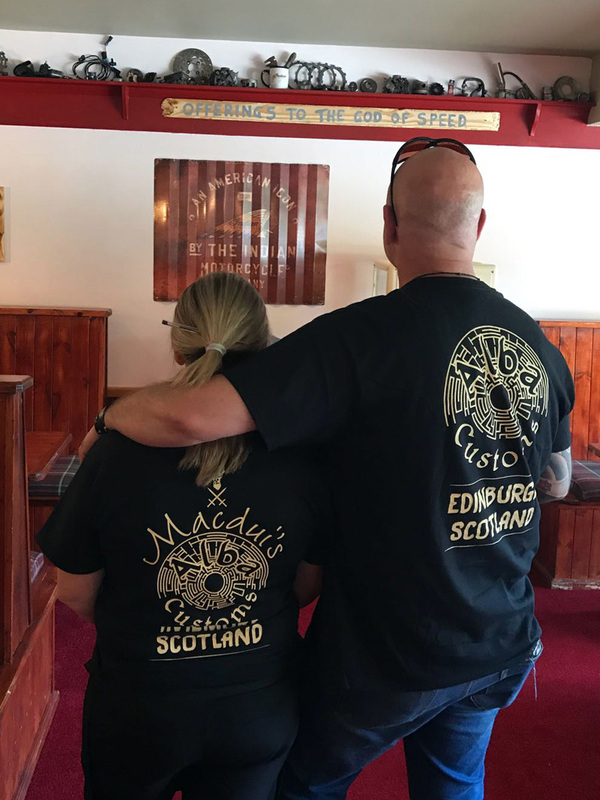 The Cairngorm area is popular with Indian Motorcycle dealership Alba Customs of Edinburgh (125 miles south) and owner Calum Murray sought to create a permanent Indian presence there – and an Indian Motorcycle-themed restaurant and bar seemed the best way to do this. 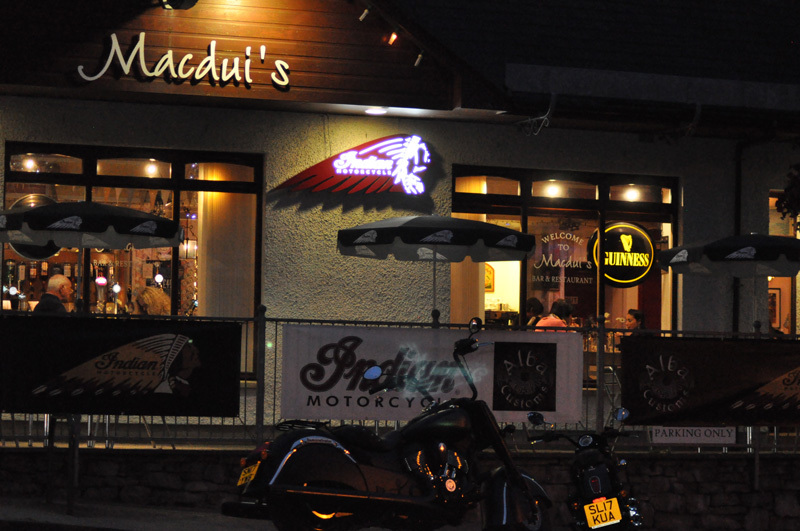 The re-branded MacDui’s (owned by Johann Redfern) launched on Friday night and now extends an open invitation to all bikers to pop in. 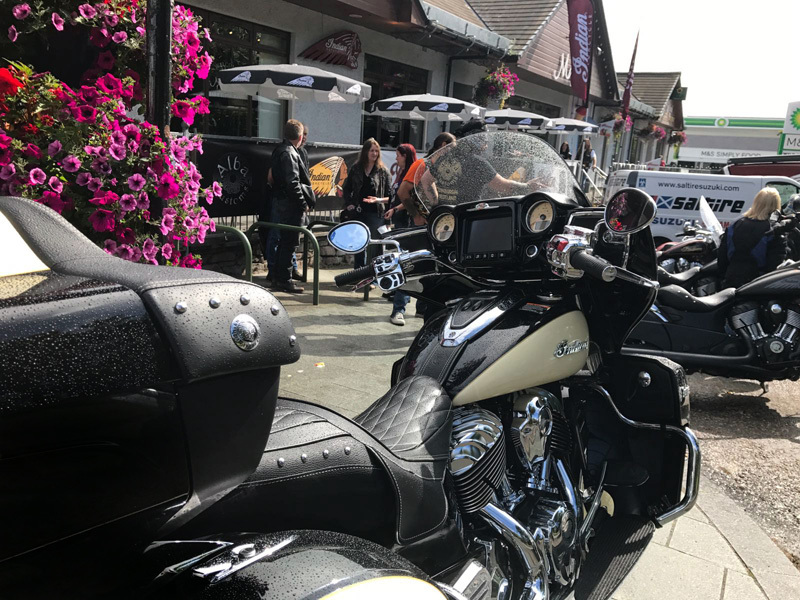 Macdui’s is now also on the Indian Motorcycle Riders Group list of global touring destinations – the first to exist independently of an Indian dealership – and will provide Alba Customs with an attractive ride-out and refreshment stop. Calum Murray said Alba Customs, as Scotland’s sole Indian dealer, wanted to ensure they were getting the Indian brand out there and looking after people in the Highlands. “Macdui’s is the first Indian Motorcycle bar in the UK and everyone is really excited about it,” he adds.